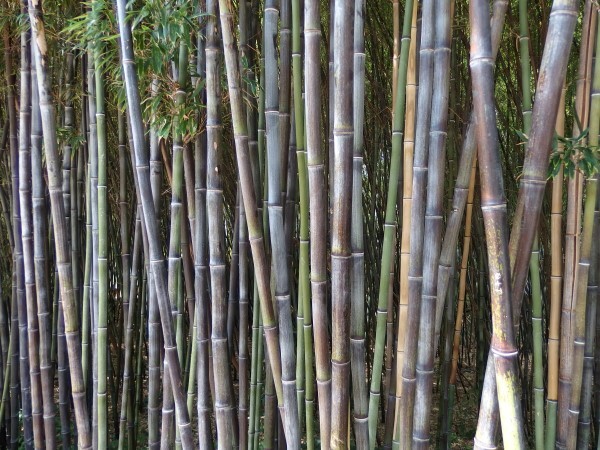 In the next post of our series looking at things to see in Malaga, we take a trip to La Concepción botanical gardens. The lovely setting and great selection of tropical plants makes them one of the best gardens in Malaga and well worth a visit. La Concepción gardens and house were built in 1855 when two members of Malaga’s rising bourgeois class, Amalia de Heredia Livermore and Jorge Enrique Loring Oyarzabal, got married. Between them, they brought and ordered plants and trees from all round the world and created a tropical oasis throughout the 23-hectare site. 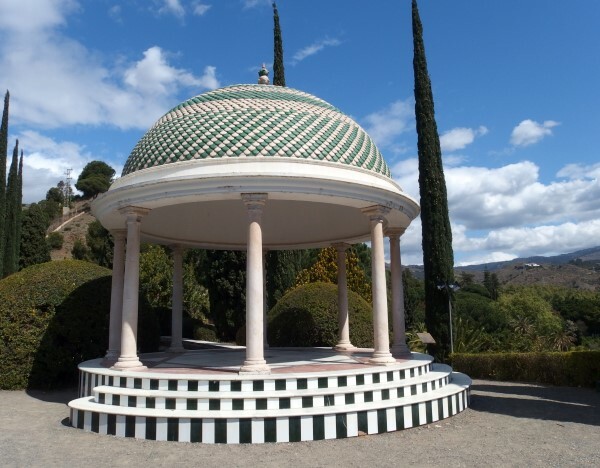 In 1911, La Concepción was acquired by the Echevarria-Echevarrieta family – another influential family in Malaga – who added to the gardens and built the famous mirador at the southern end of the grounds. In 1943, the gardens were declared national treasures and just under 50 years later La Concepción became municipal property. In 1994, the gardens opened to the public. The gardens have several clearly defined areas including the historic gardens with water features and the main house; the Around the World in 80 Trees section; the Forest Pathway that takes you through pine woods; and the western section with the mirador and plane tree walkway. Ask for a map when you buy your ticket. 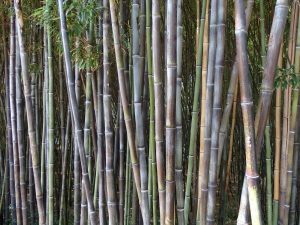 Black bamboo forest – La Concepción has several bamboo plantations with impressive sized trunks, but our favourite is the black bamboo forest. Hydraulic-tiled floors – the house isn’t generally open to the public but a peep in the windows gives you an idea of what it’s like inside. The floors are covered in stunning colourful hydraulic tiles. Don’t miss the central patio with its colonial-style wrought-iron work. Mirador – this was added in the early 20th century and has amazing views of Malaga and the sea. When it was built, you looked out over country estates and farm land. Over a century later and the views are mostly urban, but it’s still quite something to look over the city and see the Cathedral and Port far below you. Palm trees – whether they’re original or newly planted, the palm trees at La Concepción are simply stunning. Admire the older and very, very lofty ones in the historical garden and the newer trees in the palm tree avenue. We liked the Bismarck Palm for its unusual leaves and the Cuban Palm for its sleek grey trunk ringed in distinctive white. Wisteria Arbour – La Concepción is most famous for its wisteria in 1857, planted over a wire arbour next to the house. The flowering in March/April is nothing short of spectacular and it’s worth making the visit for the sight and scent of this alone. Lose yourself in the gardens and get off the beaten track. To avoid the crowds, visit during the week. Go last thing to see the sunset from the mirador. Take the wisteria scent home with you – the shop sells soap and perfume made from the flowers. Look out for special events such as concerts, plays, themed visits (such as Halloween) and evening guided tours. These gardens in Malaga are situated about 8km north of the city centre. Take the 2 bus from Alameda Principal and get off at the last stop. Follow the green pavement to the gardens (about 15 minutes easy walk). Buses run every 10-15 minutes. Take the 91 bus from the main bus station and get off at the botanical gardens. Buses leave every 90 minutes (timetable here – click on the imagen to read). By bike: follow the cycle lane north past La Rosaleda. 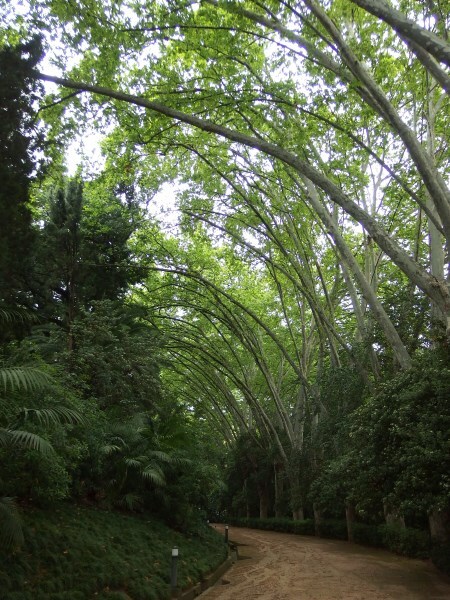 When the cycle lane ends, turn right and then left onto the Camino de Casabermeja and follow the signs to La Concepción Jardín Botánico. It’s a flat ride except for a slight slope over two bridges. Allow 40 minutes from the centre. By taxi: the journey takes about 10 minutes from the city centre and costs around €9. The gardens have some firm tracks so wheelchair users can visit sections of the gardens. The historic gardens with their narrow paths and steps are difficult to visit. The gardens aren’t very big but allow a whole morning or afternoon to explore the different areas. Note that you’re allowed to stay in the gardens for up to 90 minutes after closing time. Free entry on Sundays -all day October to March and between 3.30 and 7.30pm April to September. There’s a lovely café serving drinks, snacks and main meals (from €7.50) to the right of the main entrance. We recommend the homemade quiches and cakes. 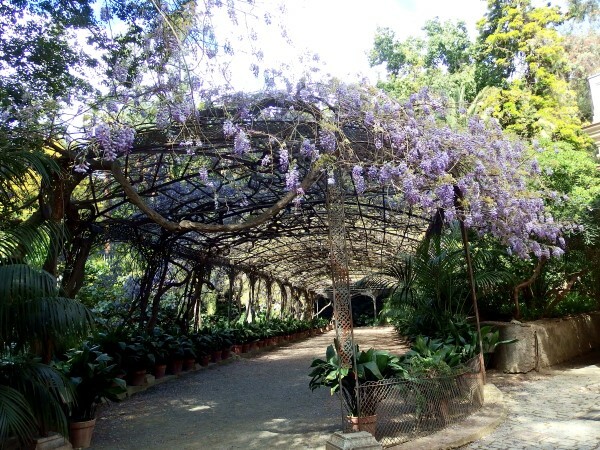 Keep up flowering events at Malaga botanical gardens with our free fortnightly newsletter. In your inbox every other Friday!